Opioid addiction has become a huge issue. One of the main causes of said addition is the prescription of opioids for pain management. 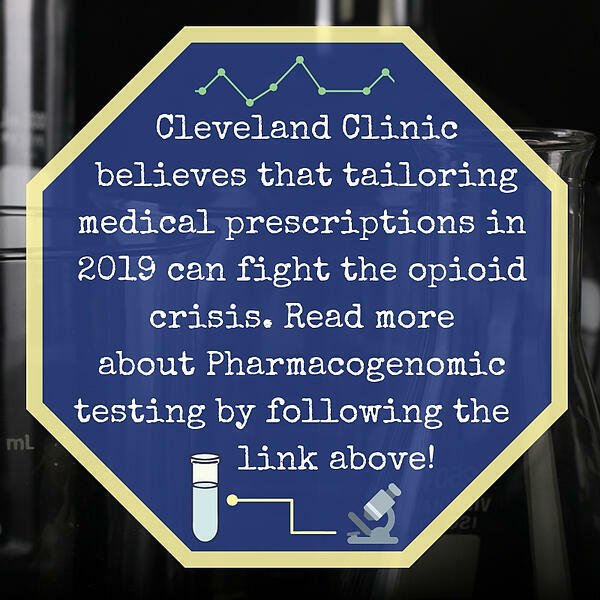 Pharmacogenomic testing could help end the struggle with opioid addiction. This method of testing uses a patient’s DNA to predict their metabolism of of drugs. The results can help prevent poor reactions to the drug and can help find the most effective prescription for each patient. To learn more about this new process, click on the button below.